As we enter the final quarter of 2014, we can look back at almost two years of a real estate turnaround having bottomed around early 2013. Investors were poised to capitalize on one of the best real estate investment opportunities ever seen. There was significant upward pressure building on single-family home prices created by historically low interest rates, falling unemployment rates, and an improving economy. Those factors have resulted in increased demand for housing from both home-buyers and investors alike, which has pushed housing prices higher in most markets nationwide. In several of those markets, particularly in the non-coastal regions of the U.S., rents are still significantly higher than the debt service on properties, which creates the opportunity for excellent cash-flow in addition to the opportunity to realize equity growth through appreciation. However, the window of opportunity has started to close for these investment opportunities. As the recovery in the housing market increases demand to drive up prices (and mortgage payments) faster than the rate at which rents increase, eventually cash-flow will be reduced. But at the moment investors still have a unique opportunity to acquire investment real estate that is expected to appreciate in value while still delivering excellent cash-flow returns. 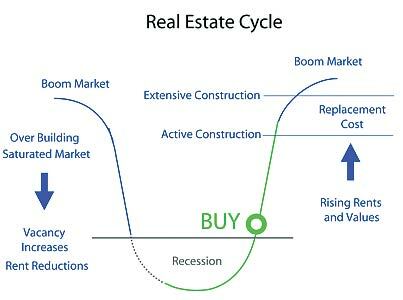 It is important to understand that real estate follows predictable cycles. The last three peaks of the housing market in the US were in 1979, 1989, and 2006. The last three troughs or “bottoms” occurred in 1975, 1982, 1995. Over these last three cycles, the range of time from trough to peak ranged from 4 – 11 years, with an average of 7.3 years. According to Brian Beaulieu of ITR Economics, the Chief Economist for Vistage International, our economy will likely experience 3 years of growth from 2015-2017 before the next significant downturn in 2018-2019. 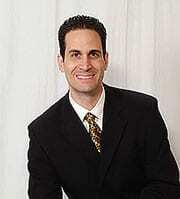 He recommends real estate as one of the best investment classes for the next several years. We have passed the bottom of the most recent down cycle in 2012, about 6 years after the peak, and are now moving through a seller’s market. Investors who “bought low” during the recent bottom period will see sizable appreciation in years to come. However, as homeowners re-enter the market in the coming years, prices will continue to rise and rents will begin to soften, as some would-be renters become buyers instead. Usually when interest rates are low, buyers jump back into the market. While mortgage rates have been very low (under 5.0% since May 2010), high unemployment, uncertainty about the economy and tighter lending standards slowed the entry of owner occupants purchasing homes. As rates are still low but unemployment has fallen, more buyers will jump in trying to capitalize on the rates and begin to push prices upward. Interest rates will eventually begin to head upward as the economy improves, but I don’t see that happening within the next few years. However, housing prices will rise as we enter an inflationary period. Note the graph that follows. Historically, mortgage payments (the gray line) have closely tracked rents (the orange line) over 19 of the past 26 years. But starting in 2005, mortgage payments rose rapidly as a result of the spike in home prices during the recent housing bubble, and fell sharply from 2007-2012. Starting in about 2009, mortgage payments fell well below rents, which is what has created the exceptional opportunity for high cash-flow and returns for real estate investors. Because housing prices are rising and interest rates are poised to increase, mortgage payments (gray line) are likely to rise at a rate much greater than rents (orange line), and eventually will both approach the trend line once again. As these events occur, the window for exceptional cash flow opportunities will begin to shrink. Thus for investors who buy now, they will get the best of both worlds: lock in good cash-flow now in advance of property appreciation. The sooner investors act, the more lucrative their returns will likely be. This is an especially good time for baby boomers that are at or near retirement to take advantage of the housing market as an investment opportunity with cash, self-directed IRAs, or 1031 Exchanges. As the economy continues its recovery, more primary homeowners will re-enter the market. Since job security is the number one factor in consumer confidence related to home ownership, as the unemployment rate drops, more of the workforce will again shift from renters to owners. Also, many previous homeowners who were recovering from foreclosures, bankruptcy or bad credit will have waited long enough to have unfavorable information removed from their credit reports and be able to once again obtain a mortgage. Although home prices will push appreciation, the rental market will also stay strong on investment real estate. This is because as the economy improves, there is going to be more household formation. During the recent recession, individuals doubled up, grown children moved in with their parents, and younger people deferred marriage and child bearing. Historically, after each recession (shown in shaded area), there is a sustained period of growth in employment and a drop in the unemployment rates. The economy still has a great deal of upside. By the time unemployment gets back to historical levels, the other factors will have changed. This market presents a unique buying opportunity for investing in real estate. The nation is still early in its economic recovery cycle, and housing prices are appreciating as unemployment continues to drop and interest rates remain low. Yet housing prices and mortgage payment levels are still well below average rents in many U.S. markets, so there is still an excellent opportunity to capture good cash-flow in addition to property appreciation. But as home prices and interest rates continue to rise, the optimal investment window will begin to close, so investors are urged to act early to lock in the best returns. 2013 and 2014 presented the best opportunity for investors nearing retirement to set up real estate portfolios with long term cash-flow and appreciation rates that ensure passive income and a secure retirement in the coming decades. This is the time to take ACTION. The window of opportunity is still open. Contact one of ourInvestment Counselors to discuss the opportunities best suited for you.